Dr. Richard Scheinman. who lives on Lighthouse Road in Petrolia, sent us a picture of the pothole he bumps over on his way to treat patients. He sent Supervisor Rex Bohn a bill for the front end repairs made to his truck and has not heard back, he reports. 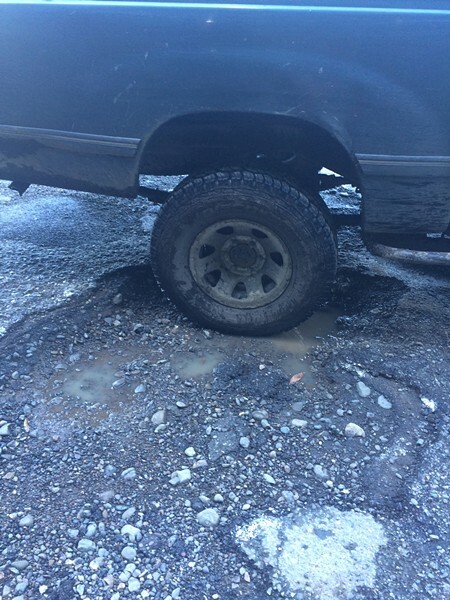 We went through your complaints about bad roads in Humboldt County and got some information about when and if they’re scheduled for repair. One common theme is that people often don’t know which entity is responsible for maintaining roads in their neighborhoods. In Eureka, for example, roads fall into several different jurisdictions, even within city limits. U.S. Highway 101, which runs through town, is maintained by CalTrans. The city’s eastern border is marked by Harrison Avenue, which means the Eureka Public Works Department is responsible for half of the street, and the county is responsible for the other half. Scott Ellsmore, director of Public Works for Eureka, said not to worry if you call the wrong office. It’s pretty common in his line of work. 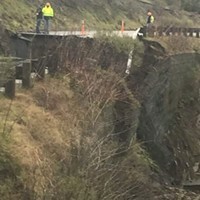 His colleague in Arcata, City Engineer Doby Class, added that Arcata's responsibilities can be additionally complicated by the university, as some roads are dually maintained by the city and the state. As with the county, city public works departments rely on a patchwork of funding to patch the roads, and the likelihood of some sources of funding coming through is often dubious. For that reason, Class added, some roads that need repair but are not “high volume” streets do not have immediate repair scheduled. Here is a list of all the roads our readers asked about, the entities responsible for maintaining them, and whether or not they’re up for repair. Eye Street: No maintenance scheduled at this time as multiple developments are being discussed, If a development occurs, the city will usually work something out with the developer to split the cost of maintenance. J Street between Samoa and the Co-Op: Nothing planned for this year as it's a lower volume street. Prep work for a slurry seal in 2017 will probably take place this year. Granite Avenue: Partially owned by HSU, meaning that any work done will have to be done with the university's blessing. Date of repair unknown. Some repair work has been scheduled this year for Buttermilk Lane, Giuntoli Lane, West End Road and Spear Avenue. Who to call: Incorporated areas with public works departments include Fortuna, Ferndale and Rio Dell. Otherwise, call the Humboldt County Public Works Department at 445-7421. 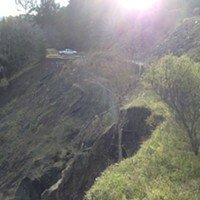 Blue Slide Road: Two storm damage sites on this road are on hold as the county waits for federal funding. Highland and Clark streets: Both under a funding program through Caltrans, but repair is at least a year away. Q Street: No funding set aside for major repair. Major storm damage is prioritized, according to Ellsmore. 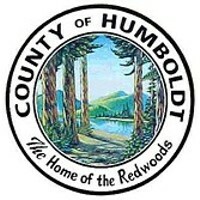 Who to call: Humboldt County Public Works Department at 445-7421. Dow’s Prairie Road: Routine maintenance (culvert, brush). Scenic Drive near Trinidad: Routine maintenance only. Pleasant Point Road: Routine maintenance only. Korbel to Maple Creek: Routine maintenance only. Redwood Valley (Stover Road): Routine Maintenance only. Old Road in Trinidad: Routine maintenance only. Howe Creek: Routine maintenance only. Port Kenyon: Routine maintenance only. Friday Ridge Road: Routine maintenance only. Briceland Thorn (Whitemore Grove just west of Redway): County is waiting for partnership with California State Parks to fund repairs. Stagecoach Road: Culvert replacement in washed out portion, maybe in the summer depending on funding. Lighthouse Road in Petrolia: Routine maintenance, adding larger rock to section of gravel to stabilize on-going issues.